WagJag is a Canadian company that owns and operates WagJag.com, a group discount website. The company seeks to provide Canadians with great deals for high-quality products and top-notch services. WagJag pools customer orders so that it can purchase in bulk from reputable providers. The company was founded in 2009 in Toronto, Canada. As of now, WagJag only serves certain areas in Canada and does not operate internationally. WagJag is a division of Metroland Media Group Ltd., which in turn is a subsidiary of the Torstar Corporation. If you are a bargain hunter, you’re going to love WagJag’s site. The company offers incredible deals on merchandise, travel packages, and more. WagJag’s listing is quite extensive, with categories for Beauty & Wellness, Activities & Events, and Restaurants, to name a few. Each category is then broken down further into sub-categories, to make browsing the site easier. Of course, you can always use the search box if you don’t wish to browse. When you purchase a deal from WagJag, you will be issued a unique voucher. Each voucher comes with detailed instructions on how to redeem your order from the advertised merchant. Please note that these instructions may vary, depending on the supplier. Please note that some deals, products, and services are area-specific. To know which offers are near your area, specify your location in the box provided. To find out more about WagJag and how it operates, visit the help page. If you are using WagJag.com to get products and services, you are already enjoying significant savings. All listings found on WagJag are heavily discounted. 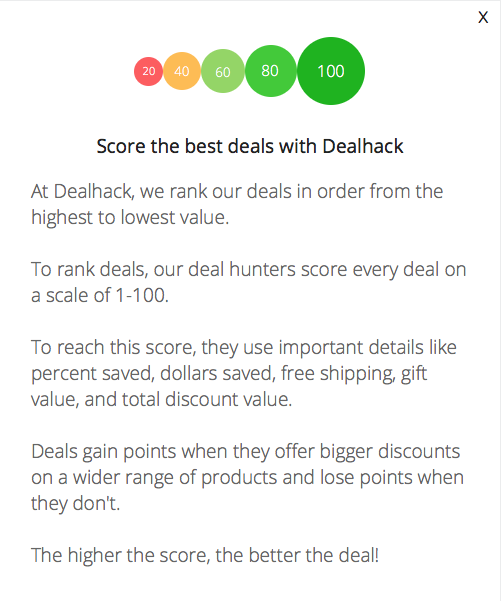 If you are looking for better deals, click on the Top 10 button on the homepage. From time to time, the company will post codes on the site which you can use for a particular listing. Simply enter the code when prompted during checkout. WagJag also offers a “Deal a Day” where it drastically marks down products and services. Finally, check out the Flyers page for more deals from WagJag’s partner stores and establishments. If you want news about the hottest deals, follow WagJag on Facebook and Twitter. The company communicates with customers on social media, so feel free to post a comment or tweet a question. WagJag also has a blog that has useful articles for bargain hunters. If you need assistance, WagJag’s contact information can be found on its contact us page. You can send an email to the company through a link from there. Sign up for email alerts from WagJag. Get notifications for daily deals, coupons, and other promos from the company. WagJag has a Mobile App that you can download. You can browse and shop while on the go. It is available for both iOS and Android devices. Most deals on the WagJag website are available for a limited time only. Once they are gone, they are gone for good. So, if you find a good deal that you like, purchase it as soon as possible. WagJag gives you the option to give vouchers as gifts to other people. Just select the “Gift This” option when you buy the voucher. You will be asked for the name and email address of the recipient so it can be delivered. You can even add a personal message too if you want. Browse through the Top 10 and Flyers page for even bigger savings. What is Today's Best WagJag Coupon? Currently, the best WagJag coupon is 'Ancestry DNA Test Kits + More from the Ancestry Testing Company Includes Free Shipping Was: $99 Now: $31.20'. There is no code required to claim this offer. WagJag ships their products using the most affordable method available. Most items are shipped via Canada Post although other couriers like FedEx or DHL are available. Please note that WagJag cannot give you the option to change carriers or offer expedited shipping. WagJag only ships to Canada and does not ship internationally. Vouchers purchased from WagJag can be returned and refunded, provided they are unused and returned within 30 days from order. Simply contact the company to get a refund. After 30 days, you can still try to get a refund. However, it will be on a case to case basis, and the refund will be for credit only. For shipped products, they are all subject to final sale and are therefore cannot be returned, refunded, or exchanged.